Now with the only thing that could make them more magical: colour art. (We love you, Quentin Blake.) 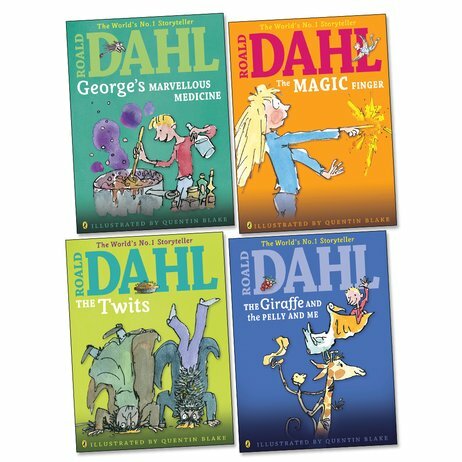 Rarely in history has there been a storytelling team as truly great as Roald Dahl and Quentin Blake. It’s hard to imagine one without the other. And now – loud drum roll – Roald Dahl’s funny words are, for the first time ever, paired with Quentin’s artwork in full colour. Mr Twit’s grubby beard. George’s technicolour potion. Sparks flying from a magic finger. See them as never before. Whizzpopping adventure and magical mayhem! What to read next for fans of Roald Dahl.